Join Para Expeditions and special guest Exie Susanne Bruce-Smith for a spirited evening at the historic William Peter Mansion in Columbiaville, MI. 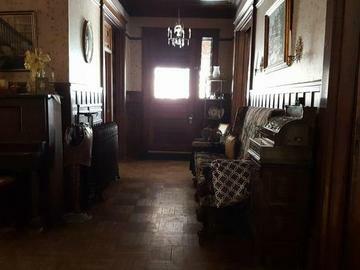 Built in 1892 this location is full of history, mystery and unexplained activity! We will start the event off with a gallery reading by Exie followed by an evening of investigating the reports of paranormal activity at the mansion. As always we will be bringing some of our unique ghost hunting equipment and be conducting some of our creepy experiments. Please bring along a flashlight and your favorite ghost hunting gear. If you don't have your own gear don't worry, we will have some for you to use. We will also have snacks and soft drinks available throughout the night. The William Peter Mansion is an operational bed and breakfast and we have four guest rooms on the second floor available for those brave enough to stay the night. Each room has a full size bed with a common bathroom a short distance from the rooms. Please limit two guests per room and the second guest is required to have an event ticket. Drugs and alcohol are strictly prohibited the event.